It goes without saying that we are advocates of transparency and openness (the clue’s in our name). When we work with organisations – big and small, private and public – to be more open, we help guide them to publishing good quality open data that not only benefits themselves but could also benefit their clients or consumers. Yorkshire Water joined us in early 2018 as a sponsor, committed to developing an ‘open by default’ approach to their data by 2020. Their ambition is customer-driven – they want to engage more with their customers and help them better understand their water supply. This all starts with #WaterData18 – a series of events focused on leakage data. 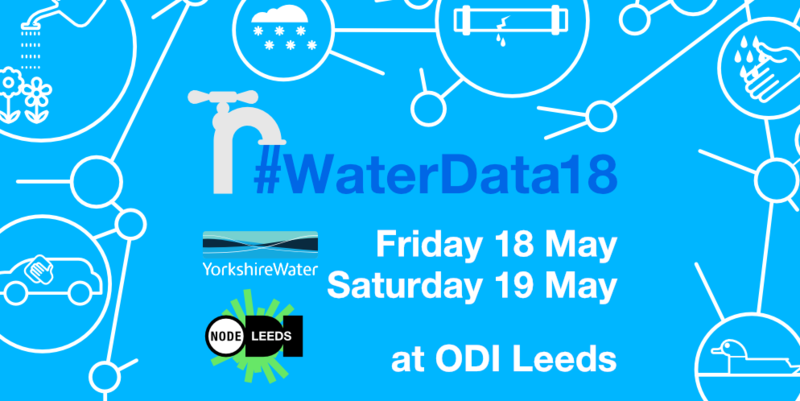 Beginning with a launch event in March, Yorkshire Water will set out their goals and start conversations, followed swiftly by a showcase of their work so far during the Leeds Digital Festival in April,and culminating in a 2-day hackathon in May.